Twenty-something slacker buddies Ben (Jason Ritter, The Event) and Alan (Jake Sandvig, Easy A) seem incapable of growing up. They run a valet parking scam and lease their rental house next door, allowing them to keep responsibility at bay. When a stressed-out single mom (Carrie Preston, True Blood) and her street-smart young son Kelsey (Chandler Canterbury, Knowing) become their new tenants, the misfit pals find a new friend in the precocious boy, who's eager to help them in their larcenous business. But Alan's sister Mel (Rebecca Hall, Vicky Cristina Barcelona) suspects Kelsey may be a neglected latchkey kid, and her intervention sets off a chain of startling events that may the duo to invent the family they've always needed. 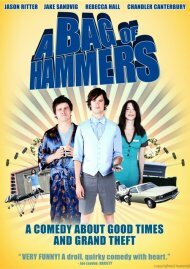 Featuring touching performances from its young cast, A Bag Of Hammers is a hilarious offbeat comedy about learning life's hard lessons. 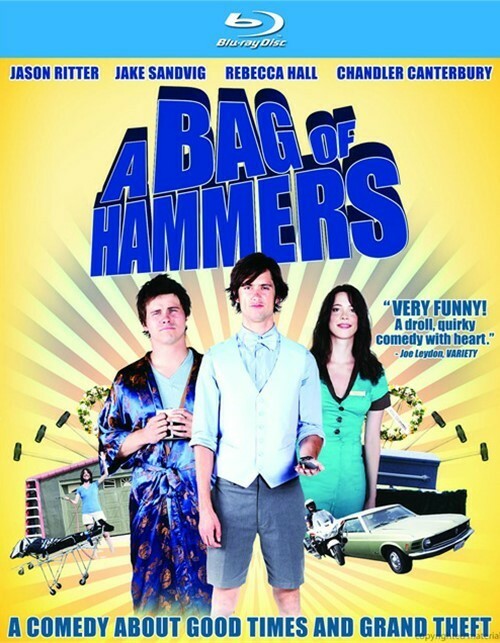 Review "Bag Of Hammers, A"
Reviews for "Bag Of Hammers, A"